This is a DISCONTINUED ITEM. It is available only to the Gratton and Stetson Wedding Registry. All other purchases will not be processed. We have special in store pricing for this item as a special thanks to our Bride and Groom. Please call 843-275-9899 or come into the store for special pricing for this item. 405 N. Main St. Marion, SC 29571 10:00am-5:00pm Tues-Sat. 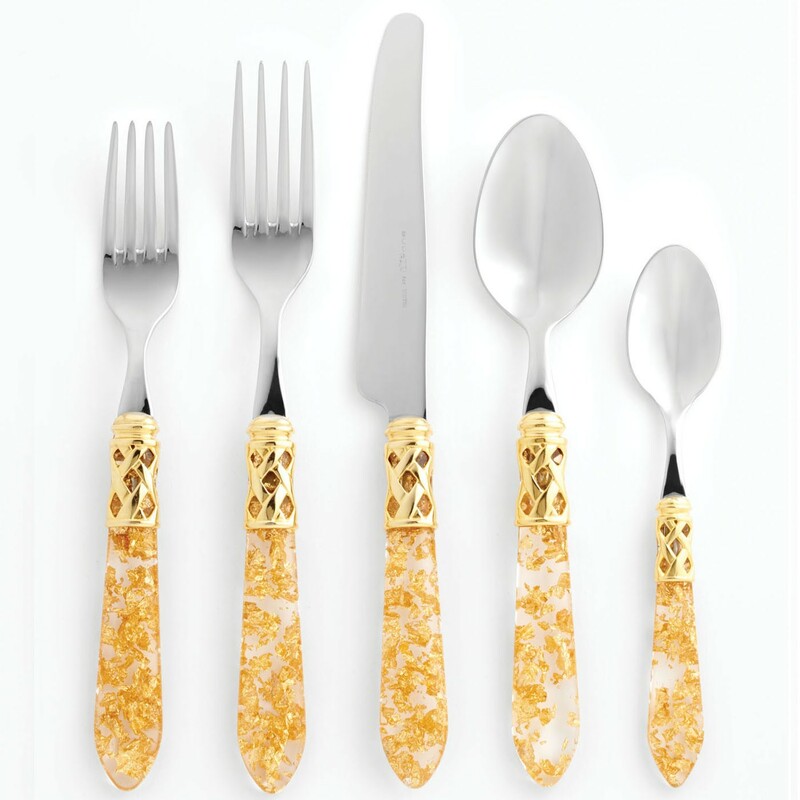 The Aladdin Gold Fleck with gold lattice five-piece place setting is a glamorous collection, featuring airy flecks of gold wrapped in intricate gold lattice.